A scenario where you might need to execute remote commands as a user remote located Linux / BSD UNIX server is a common task for system admins nowadays. 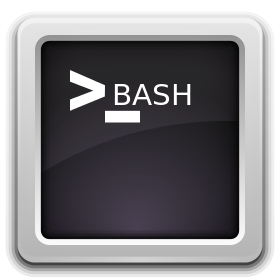 Passwordless OpenSSH user server login to be able to run backup / log rotation scipts or a data anlysis is handy when used together with some tiny rsync / scp data copy scripts as a way to synchronize SMTP data between Mail servers / abstract databases (such as Redis) or PostgreSQL etc. 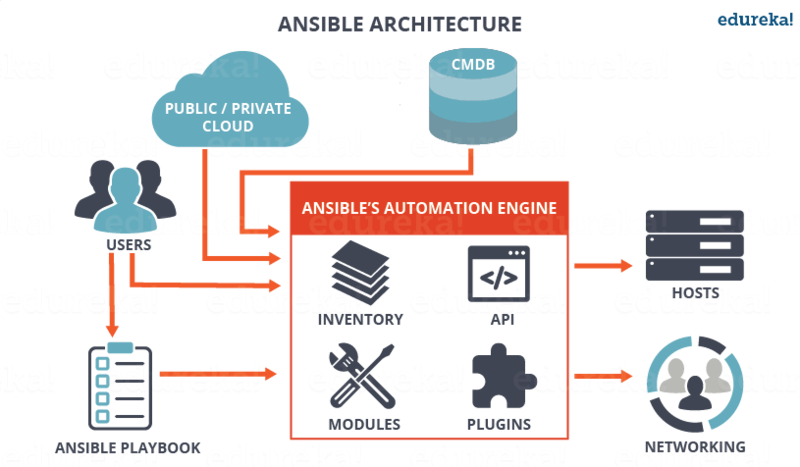 The overall picture is like this, we have 2 servers Unix / BSD / Linux OS Server 1 and Server 2 and both has up and running recent version of OpenSSH service. Server 1 has to login without password to Server 2 and be able to run only a specific lets say privileged command for the sake of security only this restricted command should be runnable. Allowing a server (LDAP or Local User account) to authorize without password to a remote server (and being able to execute) multiple set of commands poses a security risk, thus it is a good idea to Restict OpenSSH connection to remote server to be able to run only one single command. This is luckily possible by by default in any modern OpenSSH (which allows authenticated remote users to be limited to rights for running just single sys admin scripts or a just a set of defined scripts only to remote system, this has been a very good alternative to using a complicated sudo /etc/sudoers rules files which anyways could almost always be compromised relatively easy. 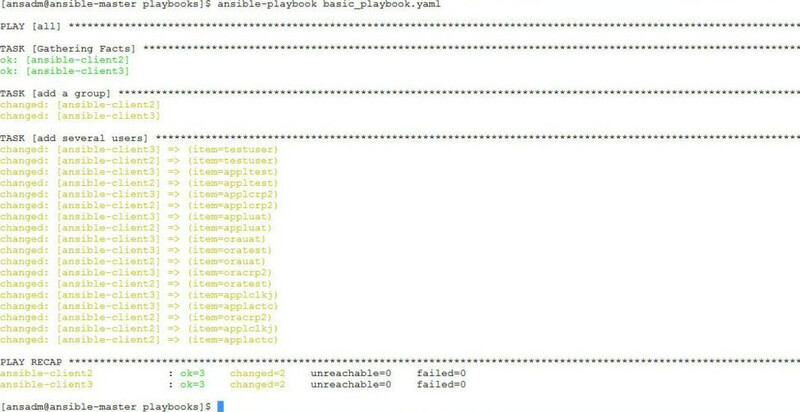 Here is the task lets say a username 'sync' has to be able to run commands on your Linux server Server 1 (with a hostname – remote-server.com) to execute a remote script mysqlbackupper.sh that does a daily Linux MySQL backup via a predefined cronjob scheduled task that is triggered daily. 1. DSA or RSA SSH encryption pros and cons which one to choose? Due to fact encryption is faster in RSA and decryption faster in DSA, if performance on client side is targetted a better one to use will be RSA but if it is targetted to offload remote sshd server (lets say it is old hardware or busy machine where you don't want to put extra load on it then DSA is better choice. id_rsa and id_rsa.pub (public and private keys) are used to encrypt and decrypt the ssh (tunnel) session between the client and the server so most people would be curious which one is more secure RSA or DSA encryption. Though there are some claims that in terms of security they're more or less the same RSA is generally preferred, because encryption can be up to 4096 bits, where DSA has to be exactly 1024 bits (in the opinion of ssh-keygen). 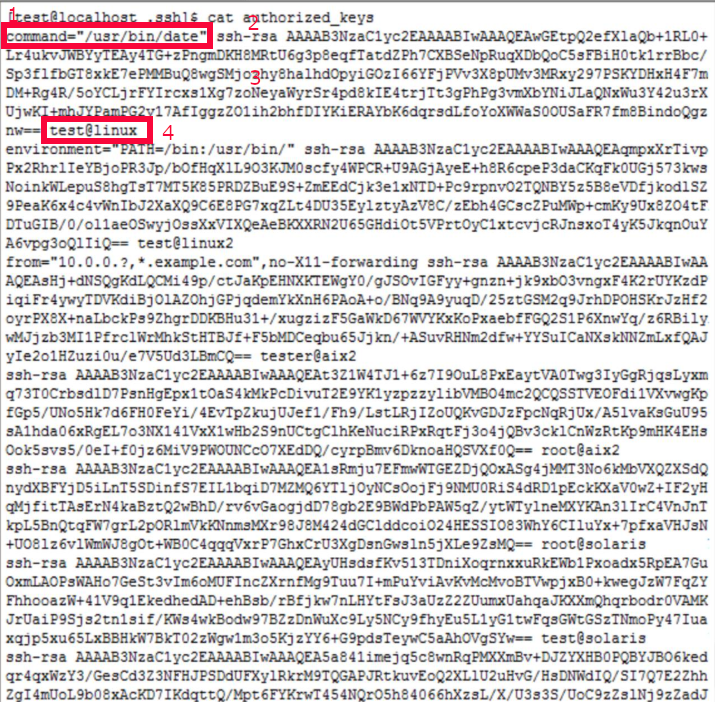 2048 bits is ssh-keygen's default length for RSA keys, and I don't see any particular reason to use shorter ones. (The minimum possible is 768 bits; whether that's "acceptable" is situational and not recommended). Provide a filename and passphrase, the output files will be id_dsa / id_dsa.or id_rsa / id_rsa.pub pub key-pair and stored in ~/.ssh of username with which the command was run. There is no special need to do anything too much special to make the SSH command restriction functionality available but just, the right record in /homeusername/.ssh/authorized_keys or if supposed to be run as root user in /home/postgreback/.ssh/authorized_keys on the server where you want to place the restriction following about a file syntax like OPTIONS-1 KEY_TYPE / OPTIONS-2 KEY_TYPE / OPTIONS-3 KEY_TYPE. To authenticate with a key from a remote PC using the sshd service on Server 1 you need to have copied the key to /home/user/.ssh/authorized_keys (with a favourite text editor lets say vim from Server 1 to Server 2 so the file should contains the ssh public keys and users (list) allowed to passwordless login to server. I've placed this example for more clarity the 4 fields of a public key string are marked with 1,2,3,4.
the reason for them is as we want to restrict port forwarding and agent-forwarding (No X will be used at all) and we don't want to have SSH local / remote or Dynamic SSH tunneling enabled because of obvious (improve) security reasons. In case if no interactive terminal will be used by the script as is the case it is also a good idea to put the no-pty next to the OPTIONS string. If you wonder ssh-dss is not ssh-dsa, its actually a naming convention as the Digital Signature Algorithm (DSA) is published in the Digital Signature Standard (DSS) by the NIST in FIPS 186.
for its user owner or if run with root by root (chmod 600) might a be very good idea here. This will make the remote script understand SHELL variables might contain anything which the remote script postgresqlbackup.sh (on Server 2) will accept as pipeline input from Server 1. Be aware that passing string arguments with has spaces or special characters inside might be problematic so always try to use a straightforward SHELL variables such as PATH, TEMP, PWD etc. !!! AGAIN BE CAUTIOUS AND BE WARNED that without a properly crafted script anyminor error in it might be fatal, for example if the script is running with superuser credentials (root) on remote machine, some local user or a malicious attacker that gets access to the server might decide to run something likea bove's rm -rf /* might destroy your server !!! # …and anything starting with dot. # then you need much more sophisticated pathname parsing and care. As you can read above script (wrapper) example allows multiple restricted scripts to be run and would prevent you adding multiple command lines to authorized_keys and I've given this as example taken from StackExchange (Security if only allowing a few vetted commands). Hope this is useful to some sys admin out there, if you find some other intereteresting use of the command ssh authorized_keys functionality or a script that tightents its use please share. Those who remember the times of IRC chatting long nights and the need to be c00l guy and enter favorite IRC server through a really bizarre hostname, you should certainly remember the usefulness of Reverse SSH Tunnels to appear in IRC /whois like connecting from a remote host (mask yourself) from other IRC guys where are you physically. The idea of Reverse SSH is to be able to SSH (or other protocols) connect to IPs that are situated behind a NAT server/s. B. (Source Host) of Machine with External Public Internet IP 83.228.93.76 through which SSH Tunnel will be established to 192.168.10.70. Connect to the remote machine which has a real IP address and make port of the reverse SSH connection open (remove any firewall), lets say port 23000. Connecting to DOMAIN.com through ssh on 23000 will connect you to the back machine with the unreal IP address. Above examples should work not only on Linux but on NetBSD / OpenBSD / FreeBSD or any other UNIX system with a modern SSH client installed. If you happen to have SSH account on a Dedicated server or a VPS that runs on some kind of UNIX like OS such as Linux / *BSD or just a friends Mac OS notebook and you don't want your HTTP traffic to be sniffed (spyed) by your local ISP, e.g. you want to get some kind of simple Web browsing anonimity on the Internet, easier alternative to using SSH Dynamic Tunnel to Proxify encrypted traffic is to just run a Proxy Cache server on remote *nix host to which you have access and configure your browser to use the host as proxy. Besides enhanced traffic privacy other advantage of running a Proxy server is of course the fact that using proxy server cache significantly improve page speed opening times, optimize web-sites content delivery saving you a lot of bandwidth and off-loads remote sites because already cached content at the proxy is served directly from the proxy server instead of each time requested from the server. Those admins who remember "the dawn of mass internet use" should remember that a lot of the small and middle sized internet providers were into the habit to use Squid transparent proxy with huge Disk Cache in order to speed-up their customers internet page opening times and thus offer a superior service and save money for themselves since the ISPs were also paying not for a bandwidth to end providers but for used overall Traffic. Historically I've personally used TinyProxy a lot to "obfuscate" my traffic (hide my originating host IP) and to save-bandwidth cause in late 1990's I paid my internet bills based on used traffic and starting a TinyProxy saved me network traffic and hence cut my Internet bill but even today it is great to optimize web traffic. Usually for a single or few persons proxy it is not worthy to use "Full Featured" Complex Caching servers such as Squid Cache because installing and configuring one has plenty of dependency packages and a lot of time to spend in configuring (dealing with squid's cryptic squid.conf) it is much better and easier to use a light-weight HTTP/HTTPS proxy service (daemon) such as TinyProxy if using Tor Project (Anonymity Online) Network to protect against network surveillance / traffic analysis Privoxy. # server's host name will be used. If you're concerned about transferred data security between your client host (Desktop) machine and remote installed Proxy server that your ISP or some malicious guy could sniff your website login credentials using Man in the Middle attack, its also a good idea to use TinyProxy together with SSH Tunnel, that's pretty easy if you have an SSH client on your machine (if you're on a Mac OS X). It is a very useful thing if you have to administer a large group of Linux / UNIX servers and you're not running web monitoring such as Nagios / Icinga / Munin / monit to Raise Email or other kind of Alert / Warning notices to periodically check the system load avarage with uptime command and log to a file and if necessery send emails in case if some server too high load avarage is matched on servers. Below little script could be a basis for development of a script to raise email SMS alerts in case if a Linux / BSD / UNIX system gets CPU overloaded. The run_commands_on_multiple_servers.sh script is available for download also is here. The script can be easily adopted to run any other commands or trigger alerts, anyways if you need something more complex I would recommend to still stick to monit (utility for monitoring servers on UNIX system / Zabbix etc. The graphical output of nostalgia is a pong-like battle game between webserver and never ending chain of web requests. 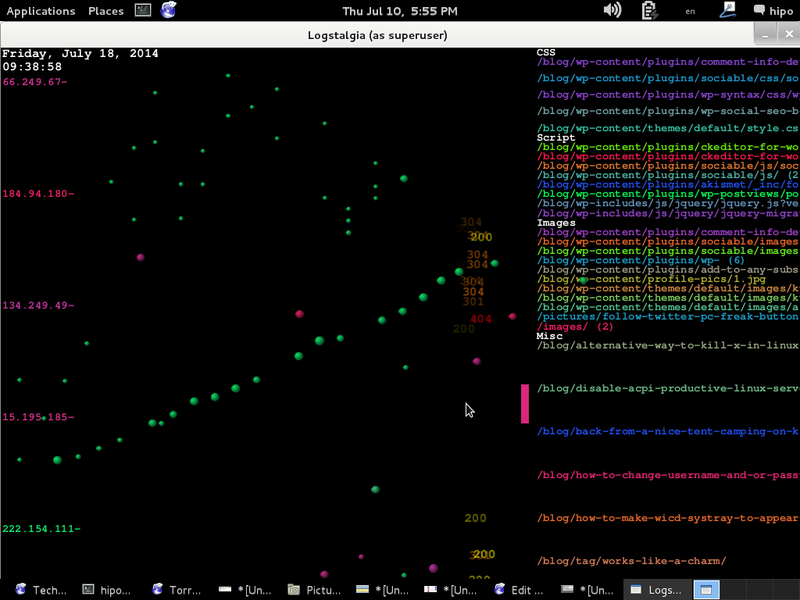 Logstalgia is a website traffic visualization that replays web-server access logs as a pong-like battle between the web server and an never ending torrent of requests. Requests appear as colored balls (the same color as the host) which travel across the screen to arrive at the requested location. Successful requests are hit by the paddle while unsuccessful ones (eg 404 – File Not Found) are missed and pass through. The paths of requests are summarized within the available space by identifying common path prefixes. Related paths are grouped together under headings. For instance, by default paths ending in png, gif or jpg are grouped under the heading Images. Paths that don’t match any of the specified groups are lumped together under a Miscellaneous section. Need to get 161 kB of archives. After this operation, 1,102 kB of additional disk space will be used. Selecting previously deselected package logstalgia. If you're having a GNOME / KDE X environment on the Linux machine from which you're ssh-ing Logstalgia will visualize Webserver access.log requests inside a new X Window otherwise if you're on a Linux with just a console with no Xserver graphics it will visualize graphically web log statistics using console svgalib . If you're planning to save output from nostalgia visualization screen for later use – lets say you have to present to your CEO statistics about all your servers Webservers logs you can save nostalgia produced video in .ppm (netpbm) format. Then to play the videos use any video player, I usually use vlc and mplayer. The DNS server knows that all failed to resolve queries by set DNS should be searched (resolved) under the defined search domain, i.e. each DNS query for server2, serverX (would try to be resolved as a subdomain of domain.com). 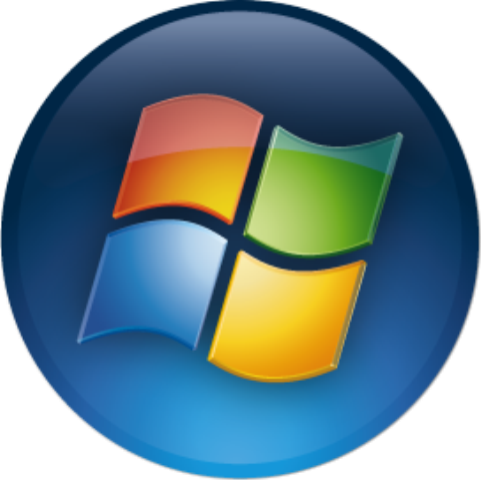 Therefore, a very good question is what is Microsoft Windows (2000, 2003, 8) OS equivalent way to define search domain.com into /etc/resolv.conf? In Windows the same /etc/resolv.conf hosts search is done using the so called "DNS Suffixes". DNS Suffixes are used for resolv of (domain name strings with no dots). 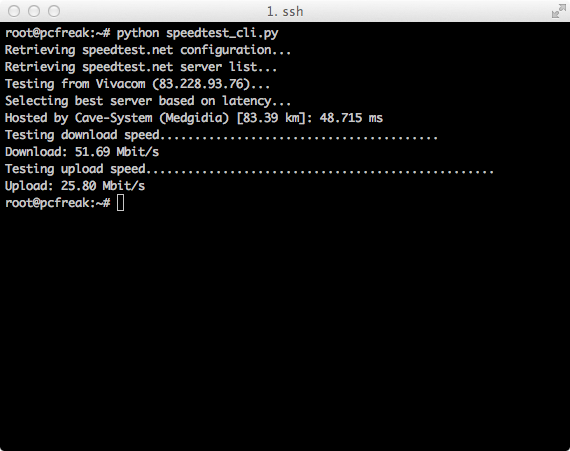 (exactly like adding search pc-freak.net in /etc/resolv.conf on Linux host). Add multiple hosts DNS Suffix, if you want to access subdomains naming from multiple base domain. 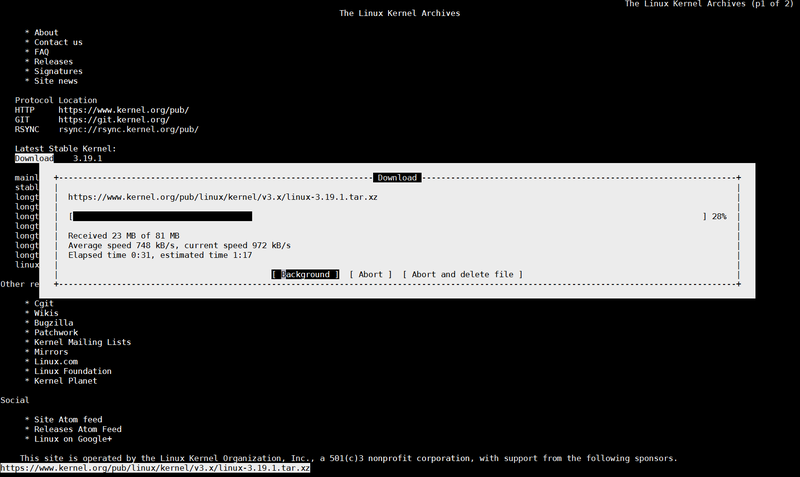 Earlier I blogged how to create SSH tunnels on Linux. Another interesting thing is how to make SSH tunnels on Windows. This can be done with multiple SSH clients but probably quickest and most standard way is to do create SSH tunnel with Putty. So why would one want to make SSH tunnel to a Windows host? 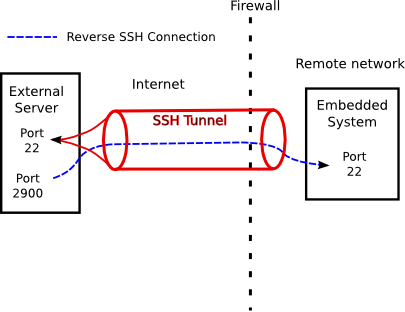 Lets say your remote server has a port filtered to the Internet but available to a local network to which you don't have direct access, the only way to access the port in question then is to create SSH tunnel between your computer and remote machine on some locally binded port (lets say you need to access port 80 on remote host and you will access it through localhost tunneled through 8080). Very common scenario where tunneling comes handy if you have a Tomcat server behind firewalled DMZ| / load balancer or Reverse Proxy. Usually on well secured networks direct access to Tomcat application server will be disabled to its listen port (lets say 11444). Another important great think of SSH tunnels is all information between Remote server and local PC are transferred in strong SSH crypted form so this adds extra security level to your communication. Once "real life" case of SSH tunnel is whether you have to deploy an application which fails after deployment with no meaningful message but error is returned by Apache Reverse Proxy. To test directly tomcat best thing is to create SSH tunnel between remote host 11444 and local host through 11444 (or any other port of choice). Other useful case would be if you have to access directly via CLI interface an SQL server lets say MySQL (remote port 3306 filtered) and inaccessible with mysql cli or Oracle DB with Db listener on port 1521 (needed to accessed via sqlplus). In that case Putty's Tunneling capabilities comes handy especially if you don't have a Linux box at hand. – port on which SSH tunnel will be binded on your Windows (localhost / 127.0.0.1) in this example case 3306. – IP address or host of remote host with number of port to which SSH tunnel will be opened. Last 10+ years I worked on GNU / Linux as Desktop. Last 7 years most of my SSH connections were managed from GNOME and I'm quite used to gnome-terminal ssh tabbing. In my new Employee Hewlett Packard. 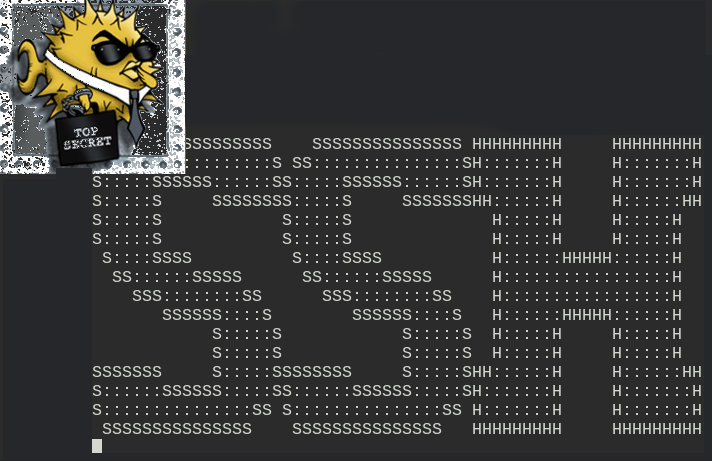 I'm forced to work on Microsoft Windows 7 and thus I used for a month or so Putty and Kitty fork from version 0.63 of PuTTY advertising itself as the best telnet / SSH client in the world. Both of the two lack tabbing and have interface which is pretty unfamiliar to me. As I'm so used to using native UNIX terminal. 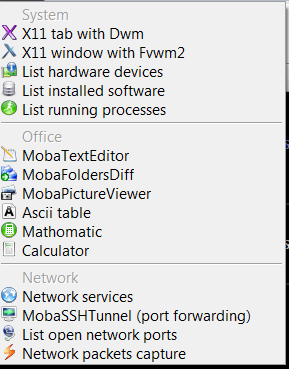 Fortunately a colleague of mine Ivelin was using an SSH client called MobaXTerm which very much did emulation similar to my favourite gnome-terminal. MobaXterm is not free software / open source app but this doesn't matter so much to me as anyways I'm running a non-free Win OS on my desktop. 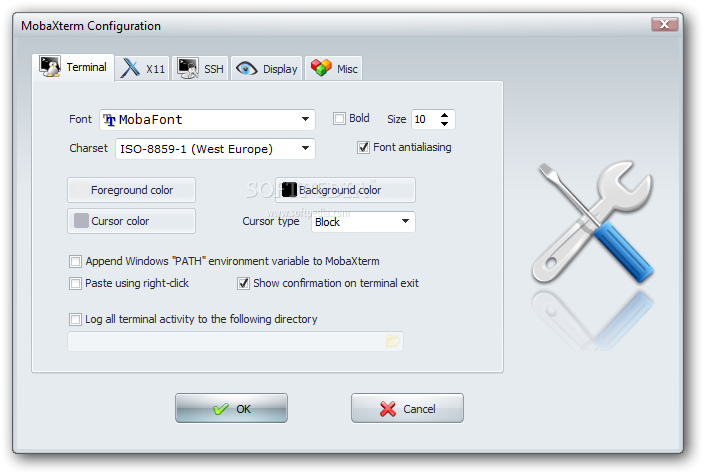 What makes MobaXterm so attractive is its rich functionality (cosmic years infront of Putty). Mobaxterm is portable just like Putty so its useful to use on HOP stations to servers like used in big companies like HP. Featured embedded Unix commands (e.g., ls, cd, cat, sed, grep, awk, rsync, wget) gives a feeling like you're working on pure Linux console making people addicted to Linux / BSD quite confortable. Some other very useful terminal emulator functions are support for anti-aliasing session manager (save / remember passwords for ssh sessions in Crypted format so much missing in Putty) and it even supports basic macros. 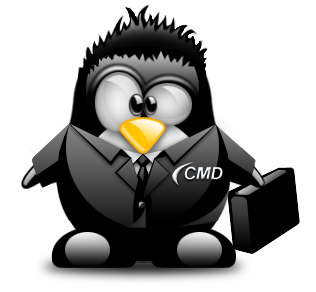 Basic UNIX commands embedded in MobaXterm are taken and ported from Cygwin project – Linux-like environment for Windows making it possible to port software running on POSIX systems (such as Linux, BSD, and Unix systems) to Windows. A very cool think is also MobaXterm gives you a Linux like feel of console navigation in between basic files installed from Cygwin. Some downside I found is program menus which look at first glimpse a bit confusing especially for people used to simplicity of gnome-terminal. Once logged in to remote host via ssh command the program offers you to log you in also via SFTP protocol listing in parallel small window with possibility to navigate / copy / move etc. 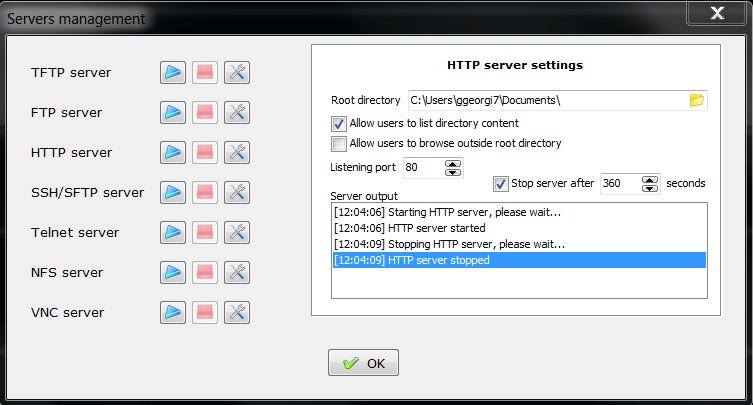 between server files in SFTP session which at times is pretty useful as it saves you time to use some external SFTP connector tools like WinSCP. 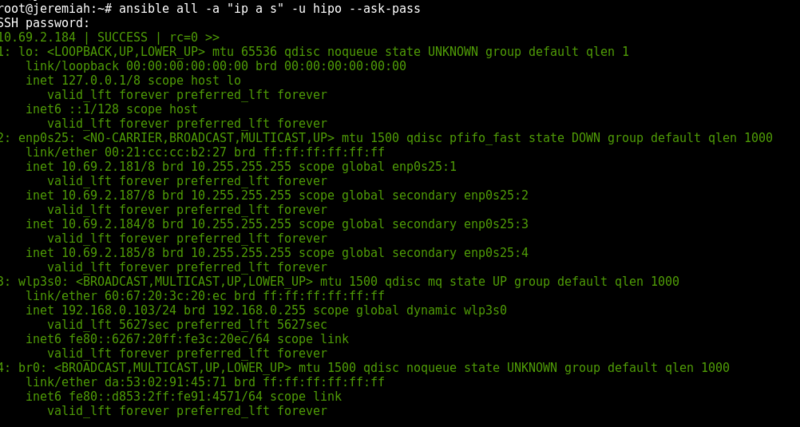 – Network packets capture – A Gui tool showing basic info like from UNIX's tcpdump! 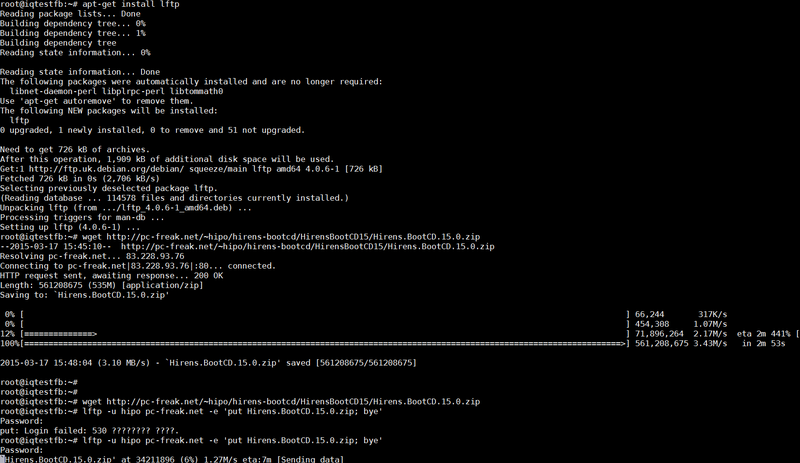 To configure and use Telnet, RSH, RDP, VNC, FTP etc. Sessions use the Sessions tab on top menu. One very handy thing is MobaXterm supports export of remote UNIX display with no requirement to install special Xserver like already a bit obsolete Xming – X server for Windows. The X Display Manager Control Protocol (XCMCP) is a key feature of the X11 architecture. Together with XDMCP, the X network protocol allows distributed operation of the X server and X display manager. The requesting X server runs on the client (usually as an X terminal), thus providing a login service, that why the X server ported to MobaXterm from Cygwin also supports XDMCP. If, for example, you want to start a VNC session with a remote VNC server, all you have to do is enter the remote VNC server’s IP address in the VNC area; the default VNC port is already registered. 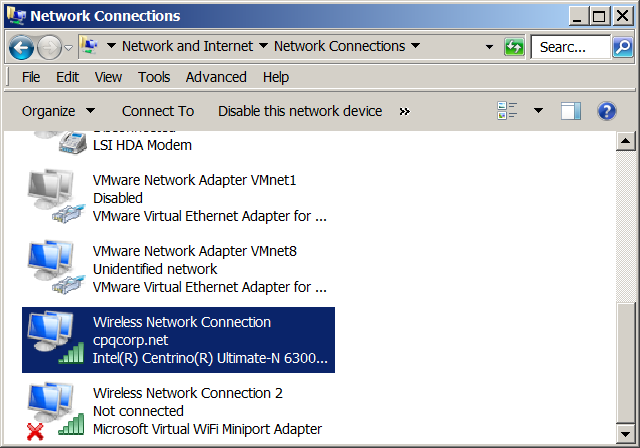 Accessing the remote Windows server via RDP (Remote Desktop Protocol) is also a piece of cake. Once you establish a session to RDP or other Proto it is possible to save this session so later you just choose between session to access. The infamous (X11 Port Forwarding) or creation of SSH encrypted tunnels between hosts to transfer data securily or hide your hostname is also there. 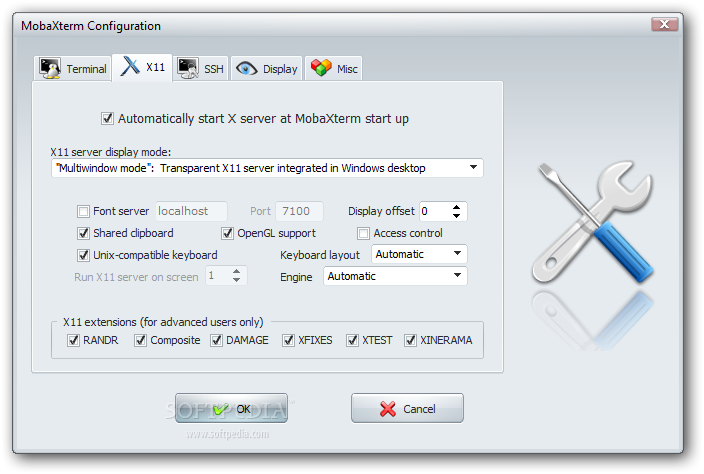 MobaXterm is undoubtedly a very useful and versatile tool. Functionally, the software is well mannered, and Windows users who want to sniff a little Linux/Unix air can get a good idea of how Linux works. A closer look reveals that anything you can do with MobaXterm can be achieved directly with freely available tools (Cygwin) and Unix tools ported from Cygwin. However, although Cygwin provides a non-Posix environment for Windows, it doesn’t offer a decent terminal, which is one thing Moba-Xterm has going for it. Admittedly, in pure vanilla Cygwin, you can start an X server automatically and then use xterm, but xterm lacks good-quality fonts, whereas MobaXterm conveniently lets you integrate a font server.